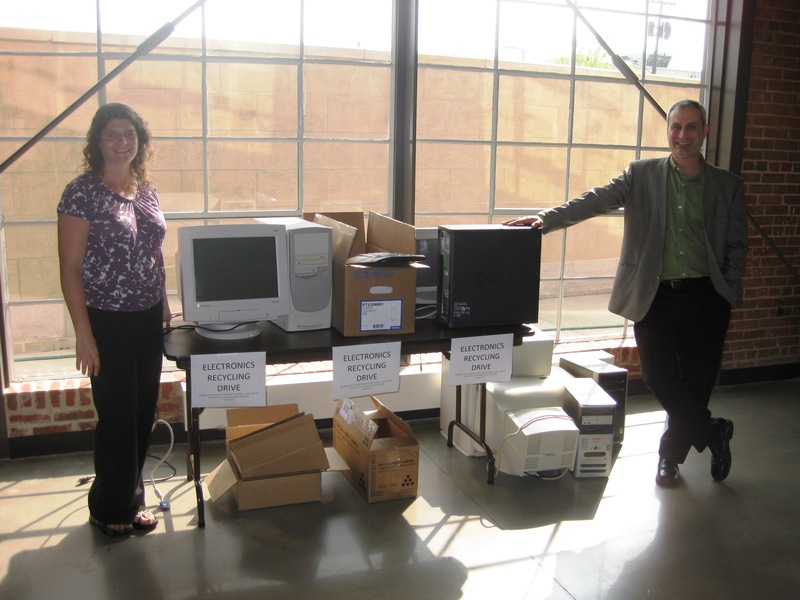 Last month the Richmond office held an electronics recycling drive in Central Studio, and collected a truckload of computers, monitors, keyboards, phones, video games, etc. Thanks to everyone who participated, especially to LeeAnn and Michael P. for organizing and implementing, and again to LeeAnn for hauling the items to Computer Recycling of Virginia. Look for more information soon about ongoing electronics recycling efforts. Many of the Moseley offices have special recycling programs in place, but if you have an item that may be recyclable and you’re not sure where you can take it, check out Earth 911 for a searchable database and maps of recycling centers in your area. You can find recycling locations for all kinds of things like batteries, automotive fluids, paints, construction materials, electronics, or scrap metal. Check it out before you throw it away.